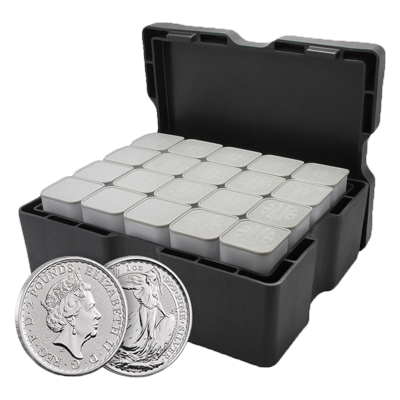 Monster Box of 500 x 1 oz Silver Britannia Coins. Heavy duty box contains 20 tubes of 25 coins each. 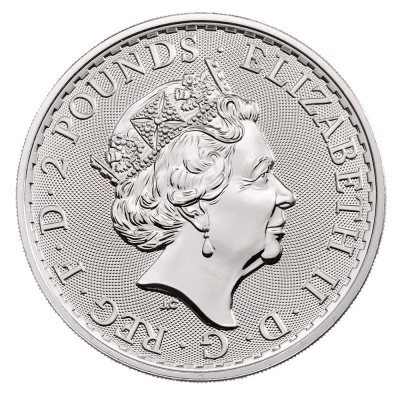 The most cost effective way to purchase Silver Britannia coins. CGT Free. Free UK delivery which will be made in two parcels and can take 2 to 3 working days. We also have the Tubes of 25 and the Single Coins available to purchase. 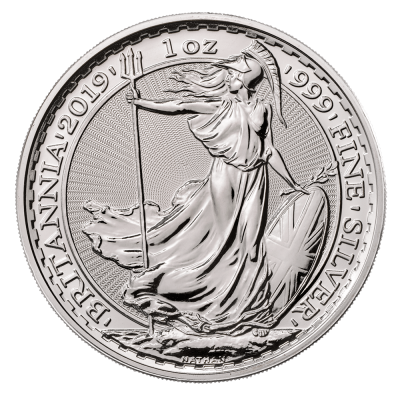 Your Silver Britannia Monster Box will be delivered to you free of charge and fully insured during transit, in a nondescript package that will not draw attention to the nature of the contents.